Suspension bridge. 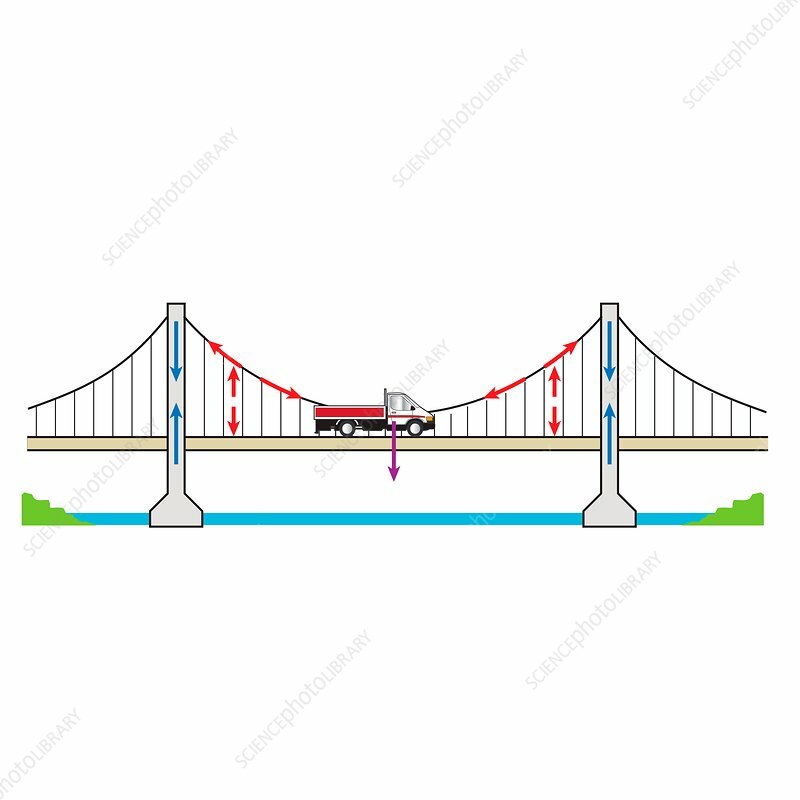 Illustration showing the forces present in a suspension bridge. This type of bridge has cables suspended between towers, plus vertical suspender cables (hangers) that carry the weight of the deck, upon which traffic crosses. Any load carried by the bridge is transformed into a tension in the hangers and main cables. The main cables continue beyond the towers to deck-level anchors in the ground. Tension in the cables (red arrows) is transferred to the towers. The resulting compression force in the towers (blue arrows) is transferred into the ground.